Sterling Silver St. 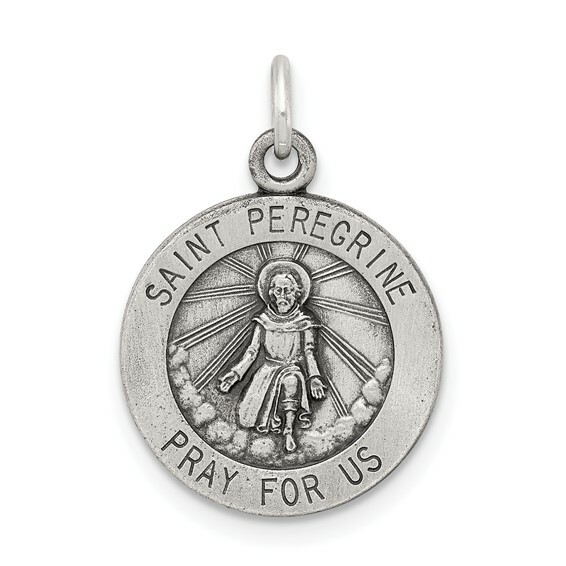 Peregrine Medal. Weight: 1.37 grams. Item measures 9/16 inch tall by 9/16 inch wide without bail. This item is smaller than a dime. Chain not included.